What I do now: I have just set up an after-school experience centre for children and young adults called Ever After. The objective of the centre is to harness the power of stories in education and create a storytelling culture in society, for stories tell us who we are. Stories make an emotional connection with the listener; stories conjure up powerful images in the brain; they help us rationalise. These are very critical aspects when it comes to learning. Research shows “Narrative Centred Learning”, as it is known in academic circles, which combines story contexts, delivers effective and engaging educational experiences as it activates both cortexes of the brain: the left side that is associated with emotion and creativity and the right side that is associated with logic and reasoning. With this premise, we have procured and developed story-based learning programmes for children from age 6, all the way up to age 15. A story-educator will take children through folk-tales, fables, legends, myths and short stories, and through them will discuss concepts that spread across subjects like Social Sciences, Science, Language and Art. Through the story experience, children learn facts and concepts by integrating both feeling and thought. This approach makes them more receptive to the information being passed on, as opposed to the dry, fact-based approach that they are traditionally used to. The focus is to help children uncover a fact by themselves by guiding their thoughts in the right direction. They are encouraged to look at real-life applications of a story beyond its obvious “moral”. While oral storytelling is the key focus, we also teach the art of digital storytelling, as we believe it’s a modern application of a traditional art. The programmes are mainly aimed at school-going children but we also conduct courses for college-goers, teachers, educators, parents and anyone who is interested in the art of storytelling. I also plan to conduct workshops on all aspects related to storytelling such as puppetry, theatre, and photography by bringing in professionals from these fields. The start-up saga: As a corporate trainer working in the Learning and Development domain of a top IT firm, I noticed a majority of our workforce was often found wanting in skills such as Communication, Creative Thinking, Assertiveness etc. It is not easy to imbibe these skills late in life, although organisations spend tons of money on training employees. As I dug deeper I realised that it had a lot to do with the kind of education imparted in our schools: largely by rote, focusing on marks rather than on learning or understanding. This leaves a lasting impact on how an individual shapes up as he/she steps into the corporate world and performs there. Sometime in 2008, as I sat browsing the web one day, I found an organisation in Bangalore that offered a course on storytelling and signed up for it. After the course, I got the chance to tell stories to children regularly and teach them their lessons through the story. It was an immensely gratifying experience as the results of telling a story are almost instant. Children immediately get hooked and learning happens unconsciously. The story provided a great starting point for intellectual discussions. I was thoroughly convinced that story-pedagogy is the way forward if we want to create individuals who can think creatively and communicate confidently. I decided to work with children. I had found my calling. The year was 2009. I gave up my cushy job and started working as a story-educator. I began by managing the Chennai operations for the Bangalore institute by taking the story programme to schools. That year, I conducted programs in schools and book stores, ran workshops and developed story lesson plans for an NGO that runs schools for underprivileged children in Tamil Nadu. I got married and had to move to Bangalore in 2010; that’s when I decided to go it alone. Since then I have conducted story sessions at bookstores, held summer camps and also attended storytelling festivals in Atlanta and Singapore. 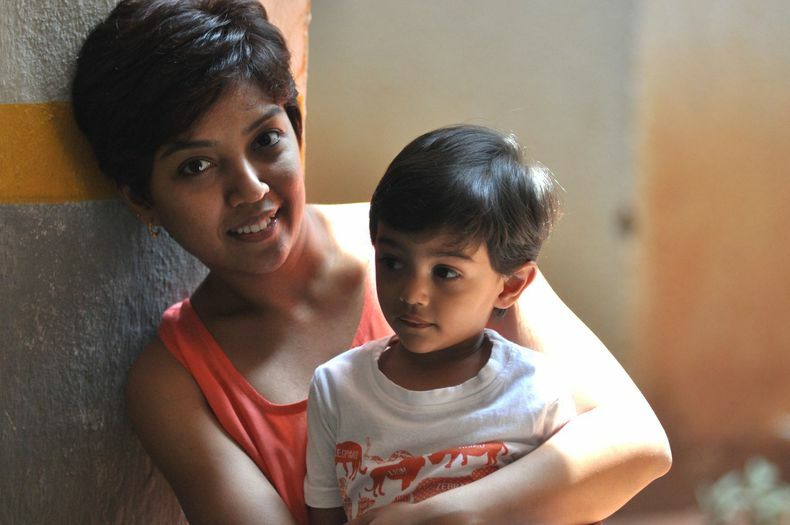 My son Vedant was born in 2011; since then, motherhood has dominated my every minute! I had to take a break from active storytelling but the fire inside me to start my own centre was always alive. The little time that I could steal from Vedant, I would spend on research and making plans. Last year, I got the chance to attend a workshop called ‘Planning for your Business’ by The Hatch and Fleximoms. That was perhaps the turning point in this story. 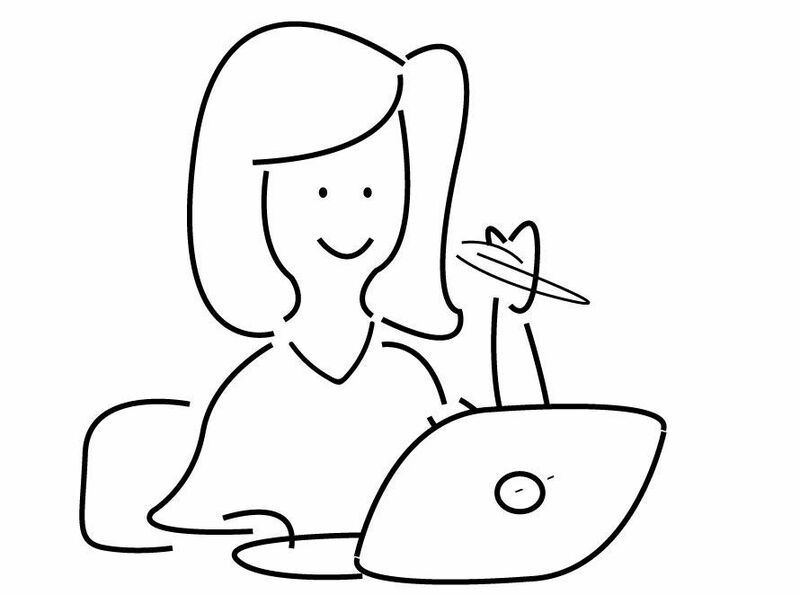 Post the workshop, I submitted an Idea Validation application to Hatch; although my idea was not ready for funding, they gave me loads of feedback and advice on how to tweak the idea. The learning from that exercise was tremendous. It has helped me see my vision more clearly. Ever After was launched in Bangalore in April 2013 from a 300 sq. ft space that is part of a library. It’s not too far from home, so I can be close by in case my son needs me urgently. One summer camp has been successfully completed and two more sessions are planned for May. The regular after-school programmes will begin in June. It’s going to be an exciting year ahead! The Challenges I faced: Ever After is funded from some money I was able to put aside for this purpose. At this stage it is not ready for funding by an investor as I am still trying to refine the concept and figure out how to make the business scalable. It’s extremely challenging to run a business on a shoe-string budget but I’ve learnt to work around what I have and be very disciplined about where to stretch and where to cut costs. I have been fortunate to get work out of some people for free only because they believe in the concept. Such people do exist! And you will find them! Marketing is by far the most expensive and the also the biggest problem for me. While parents are aware of storytelling, it is challenging to instantly make them see its application in learning. It’s not as simple as “Learn English in 30 days!” Although I spend a considerable amount on brochures, pamphlets, flyers etc., I have come to believe that word-of-mouth will be best advertiser for a concept as perceptive as this. Once children go through the story experience, they will most certainly vouch for it and bring their friends in. For now, I am happy to have a small centre with a few kids I can make a difference to. They will become my evangelists. I also leverage social media a lot. It can get you visibility from the most unexpected quarters. When you have only two hours a day to plan a business, you have no idea where to begin! As a mother of a highly demanding two-year-old, I do all my thinking when he goes to sleep at night. I work till 2 am most days! When I decided to take the leap with Ever After, I knew it was going to be tough, what with being a mother and all that. But it was my solid belief in the idea that has made me go the distance. Since I started this venture, I have had to be very focused about what I need to do on a daily basis, prioritise tasks and make to-do lists. Thankfully, I am a person who’s organised about most things, so it’s not so difficult to make a plan and stick to it. I constantly write down things as they come to my mind. A plan doesn’t always work the way you want it to but plan you must, else it’s so easy to get distracted in the million things you have to achieve in a day as a mother, wife and entrepreneur! If you’ve got no plan, you plan to fail! I also believe that the strength of a business is its people. You can only do so much alone. As of now, I’m the only person who’s actively working on the business. It takes its toll on me sometimes, but I have to go on. There are however, a couple of other people who help out with content development every now and then. I am on the lookout for a permanent team of like-minded people – people who believe storytelling has the potential to be a business and not just a one-off activity. I hope I will be able to find these people by attending networking meets, on the Web via Facebook and my blog. Slowly, but surely! Where I want to be in 2015: Two years from now, I want my venture to be known as “the” centre for storytelling in Bangalore. I hope to set up at least two centres in different parts of the city, where our programmes will be conducted. I also want to put the best team—a team of educators, content developers and strategists—in place to take this venture to its greatest point. Listen up, budding mumpreneurs: As a budding mumpreneur myself, I can’t advise much as I’m still treading the learning path. But this much I can definitely say: If you think you’ve got a business idea, don’t let it die. Explore how you can make it work – talk to people about it, get feedback, get laughed off. Give it all you’ve got and don’t be afraid to fail. It’s never going to be easy but the joy you get when you see you even the smallest achievements is unparalleled. Much like watching your child grow in front of your eyes!